While President Xi Jinping visited Paris for climate talks, Beijing was choking on a toxic haze. Yet our index shows the Chinese capital’s infamous smog is lifting as the economy slows. Environmental policy can only become more ambitious: dirty industrials face tougher times. 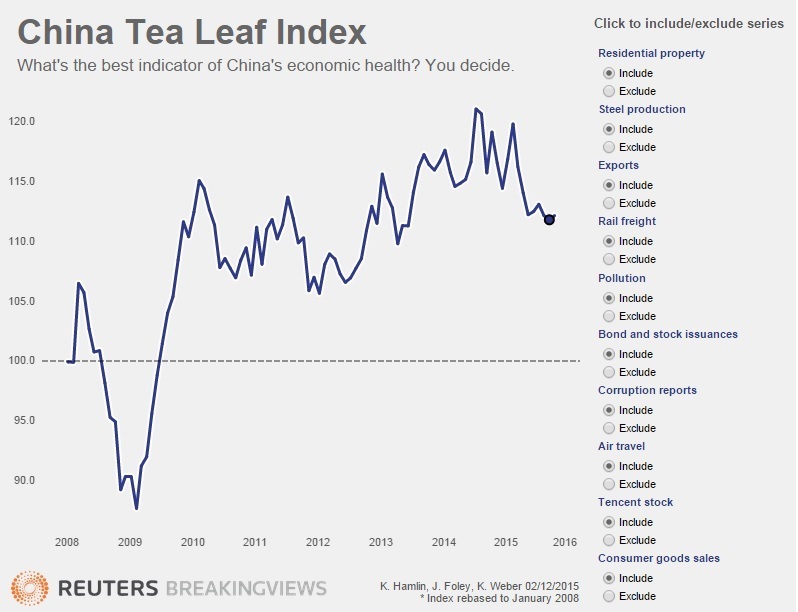 The Breakingviews Tea Leaf Index, an alternative measure of China’s economic activity, gave a reading of 112.2 in October, up slightly from 111.9 in September. As the COP21 climate summit began in Paris last week, Beijing’s pollution levels reached more than 600 PM2.5 per cubic metre of air, a measure of small particles in the atmosphere, according to the U.S. State Department. The level in the Chinese capital was so high that it went beyond the range of the U.S. Embassy index measuring pollution’s potential to harm human health, according to the Twitter feed @BeijingAir.